The Tree of Life consists of three pillars. The pillar on the left is called the Dark Pillar and is considered feminine. The pillar on the right is called the Light Pillar and identifies the masculine. The middle pillar, called the Central Pillar, represents the eternal and spiritual dimension within this duality. 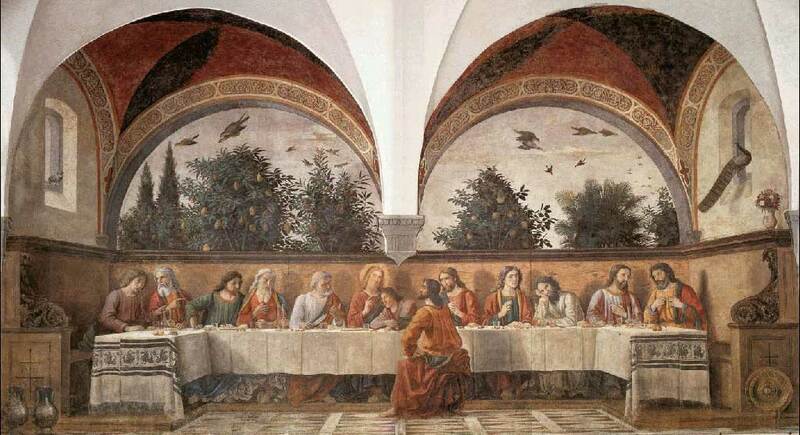 In the beautiful Last Supper by Ghirlandaio, below, notice the dark pillar on the left, as an interior arched wall with window. The light pillar is on the opposite wall. The sense of three pillars is emphasized by the forward architecture of columns. The central pillar literally points to John and Jesus, in the center, as lovers. 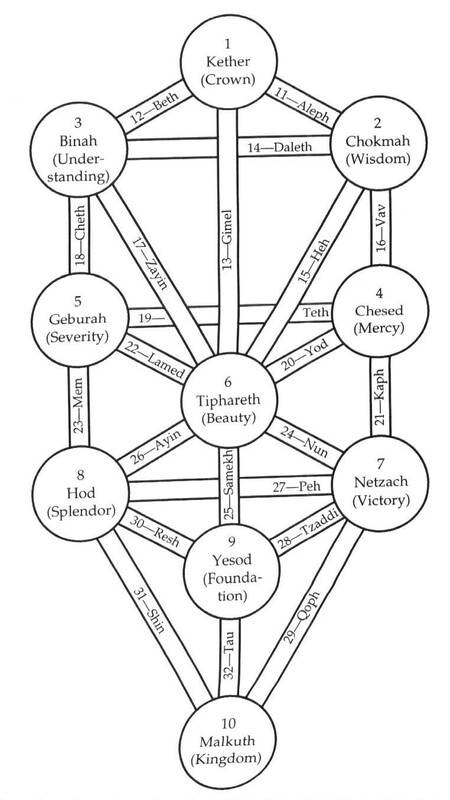 In the Cabalistic language of the Tree of Life, the Lovers, as the sixth Tarot key, are joined at the sixth sepher on the tree of Life; the place of Beauty. John, as Beauty, is located six places from Her end of the table. Jesus is counted also in the sixth place from His end of the table. The dark pillar represents the feminine. A dove sits in the window as famous symbol of the feminine. A peacock sits in the light pillar on the right, representing the illumined masculine. The appearance of John in Ghirlandaio’s first painting is fairly androgynous; enough so, it would seem, to comply with the expectations of doctrine as the church’s version of the story, where the Beloved Disciple is a man. Her eyes are closed, but she does not rest her sleepy head fully upon the table. 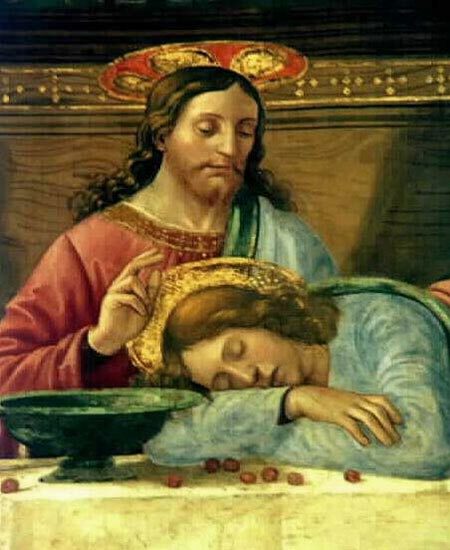 She seems to be propped up on her arms as she leans against Jesus, who stiffly sports the only halo at the table. Here again Jesus makes the hand gesture, symbol of truth, above her head. This painting points, in every way, to John as the central figure of the story. Jesus himself would seem to corroborate this. 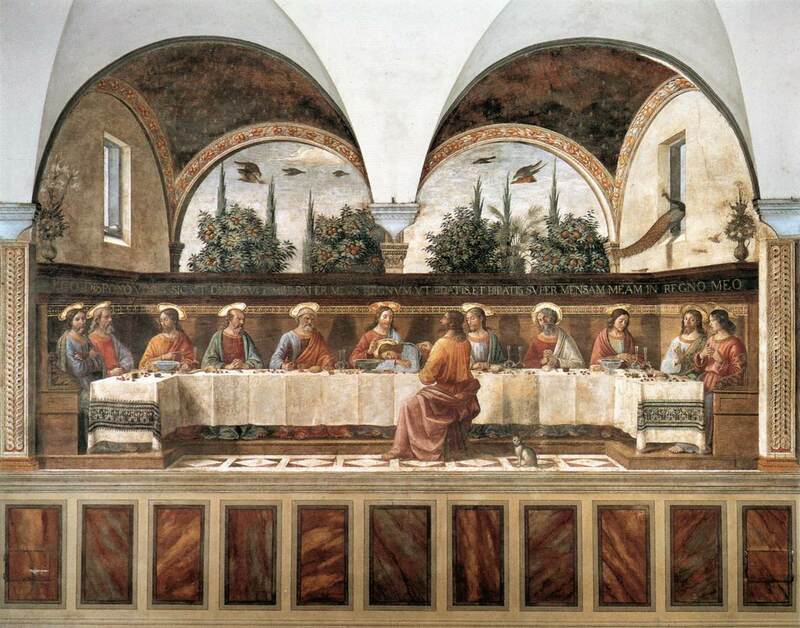 Ten years later, around 1490, he painted the Last Supper again at the Cenacolo di San Marco in Florence. The basic composition remains the same… though he pulls the central architecture back somewhat from the singular head of John. Instead the structure points to the space that both figures occupy. 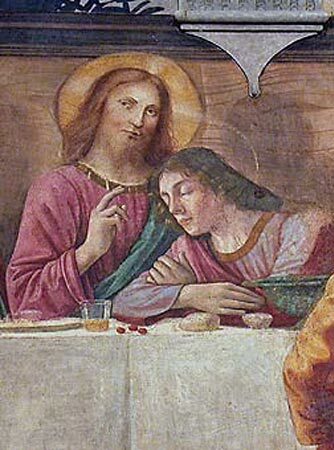 John and Jesus appear in position six, at the center of the table as Lovers. John.. a full and lovely woman.. sleeps on the table. Details of Ghirlandaio’s Last Supper paintings, below, show the development of John’s feminine features over a period of a decade.